Locinox 180 Degree Hinge for Steel and Aluminum Gates, 2 Way Adjustable, All Stainless Steel, Pair of 2 | Hoover Fence Co. 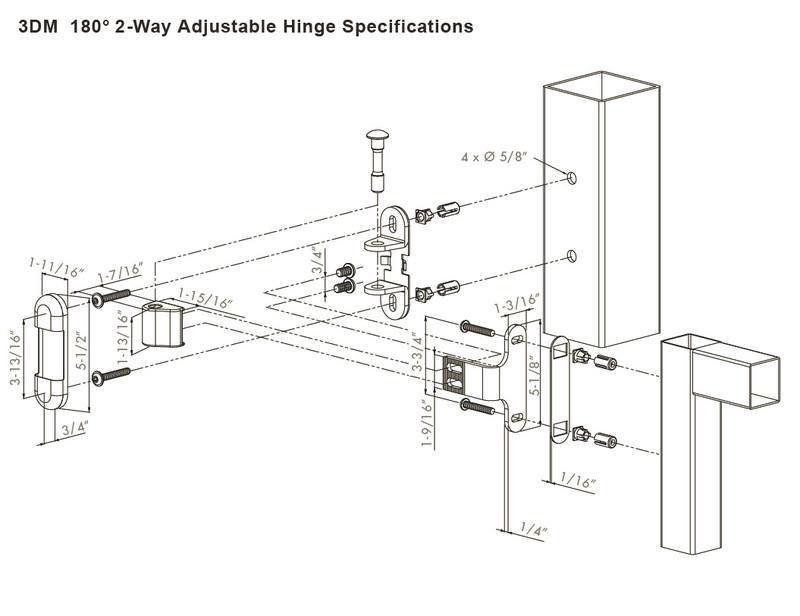 The 2-Way Adjustable Hinge Set is ideal for use with metal gates. Bolt-on hinge for steel & aluminum ornamental gates. Fast and easy installation with quick-fix attachment. Reversible for left/right swinging gates. Hinge arm, socket, axle, and socket cover plate are stainless steel. Rated for maximum gate weight of over 300 lb. (see chart).